Does SMS increase the utilization of available medical resources in the developing world? To find the answer, a cross functional team from the University of Notre Dame has launched a mobile health (mHealth) pilot in the Nnindye Villages in rural Uganda. By providing the local health center with open source SMS mobile technology and training, the research team is investigating if there is a resulting correlation in improved health-seeking behavior by increasing communications. The project is funded by a grant from the Verizon Foundation, and is a collaboration between the Notre Dame Initiative for Global Development (NDIGD), the Ford Family Program in Human Development Studies and Solidarity and the Office of Information Technologies. Additional program assistance is being provided by the Eck Institute of Global Health. Office of Information Technologies staff member Tom Marentette traveled to Uganda in January to test and implement the technology to be used in the mHealth intervention. The project advances our shared university mission of preeminent research and Catholic character, through the innovative use of mobile technologies. Countries in the developing world, such as Uganda, have seen tremendous growth in mobile ownership and technologies over the last several years and this program is eager to leverage those advancements. To establish a baseline for research, an initial census was conducted in December 2012. It included data on local demographics, employment, education, and health care access. The research team is looking at the effects of this technology-enhanced communication on health-seeking behaviors at the local village clinic, by informing residents about clinic operations and the availability of basic vaccines. 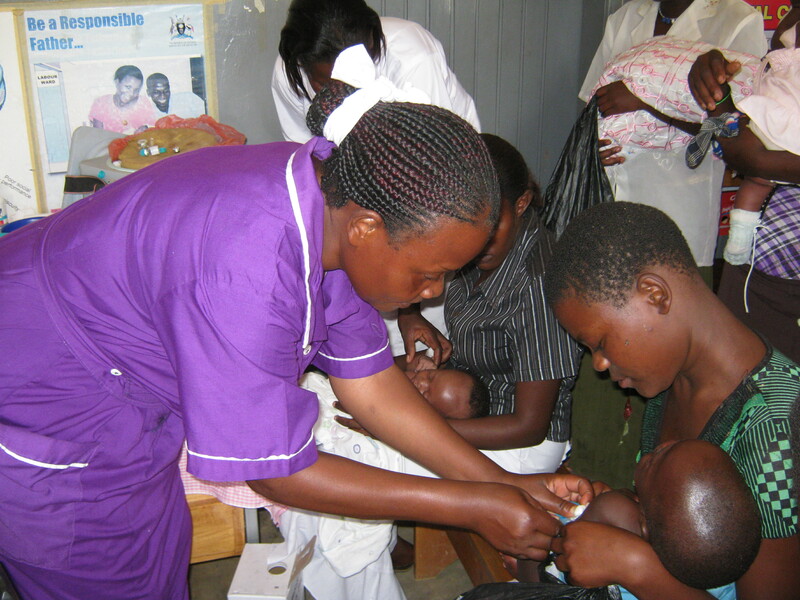 The desired outcome of the pilot is improved maternal care and child health in the Nnindye Villages. In addition, the local health clinic will be provided with computers and Internet access to facilitate improved information access related to village health care. Though similar studies have been conducted previously, few have conducted statistical and empirical analysis. Using the census and statistical data, a Notre Dame research team will compile results to measure the impact of the new technology later this year.